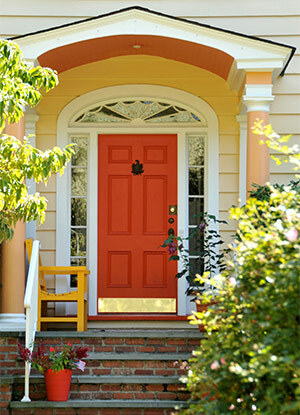 Global Home Improvement installs new exterior doors in styles and materials to fit your needs. Our professionals will handle the entire process from start to finish – from helping you choose the right type of door to the actual installation. Call us today at 1-855-201-7963 or fill out our online form for a free door installation cost estimate. If you live in Doylestown, Ardmore, Cherry Hill, or nearby areas in Pennsylvania, New Jersey, Delaware, let us help with your home remodeling project! For this window replacement in West Chester, PA, we installed gorgeous Infinity picture windows and a sliding patio door. This project was geared towards enhancing natural light, long term performance, and durability. Infinity's smaller, ultra-durable fiberglass frame is actually how we achieved this goal. You can see the sleek new look but this frame also won't warp, crack, or rot like vinyl or wood, so it'll perform for the long run. For this patio door replacement in Glen Mills, PA, we installed a durable fiberglass sliding door. Infinity's fiberglass frame offers an ultradurable boost to the seal of the argon-insulated panes, meaning you'll see that top-tier performance much longer. This patio door is perfect for the homeowner looking for the best materials for their home. Schedule your free replacement door cost estimate today! Our doors are custom ordered to ensure a perfect look and fit every time. 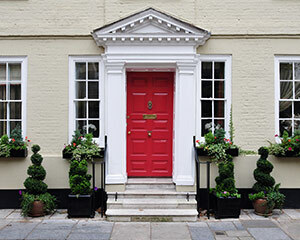 Contact Global Home Improvement today to learn more about our window and door replacement options and to schedule a free door installation cost estimate in Ardmore, Doylestown, Cherry Hill, Morristown, Woodbridge, Princeton, Bethlehem, Jersey City, Reading, Short Hills, or nearby Pennsylvania, New Jersey, Delaware.